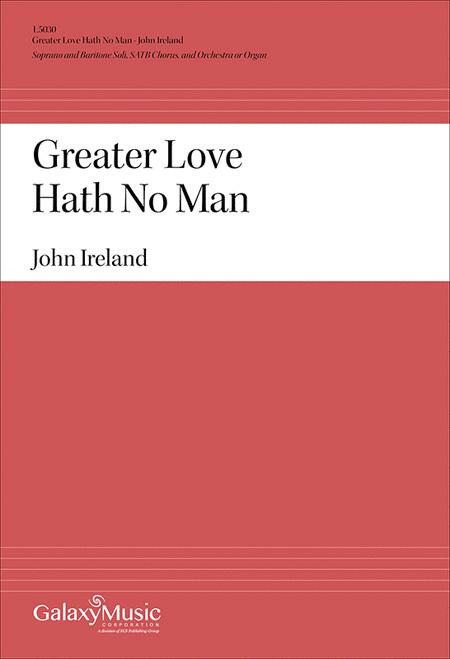 Composed by John Ireland (1879-1962). Bestseller. 20th Century. Octavo. With Scripture: Song of Solomon and St. John. Galaxy Music Corporation #1.5030. Published by Galaxy Music Corporation (EC.1.5030). 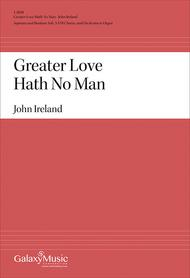 This setting of John 15:13 John Ireland is one of the great classics in choral literature. Very strong melodic writing. Short solos for soprano and baritone.